Anybody whos been paying utility bills for a while knows that there is no way to anticipate when or by how much the cost of fuel oil, electricity, and natural gas will rise. An ounce of prevention is worth a pound of cure, as our good friend Benjamin Franklin. Lets look at three ways to prepare your home for winter so you can save money regardless of what the energy companies do. Every month more people are waking up to the knowledge of the money-saving benefits of radiant barrier paint and foil. Just put it in once and save money on your cooling and heating costs from this point forward. Youve got two choices of thermal applications. Ive actually got both in my home. First youve got paint. This is usually white latex paint mixed with microscopic porcelain pellets plus aluminum flakes. This concoction is spray painted on the underside of your roof decking. Most manufacturers claim it will block 60% to 80% of heat. This is great during the summer, but wont do much to reduce your utility bills during the cold season. Youve got to be cautious if you hire a contractor for this. If they skimp on the dry product, all youre getting for your money is a pretty attic. The second option is radiant barrier foil. Although some people install it on the rafters up where the decking is, a better idea is to use the Energy Q™ brand on the attic floor on top of the insulation. 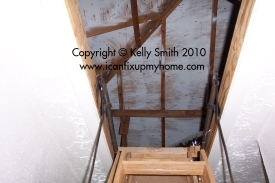 Think about it; I don care hot hot my attic gets as long as it cant enter my living space below. And, this will stop up to 97% of thermal heat from getting into your home via your attic insulation and drywall ceiling. And unlike the paint or a rafter application, it does a great job of keeping the heat in the living space during the wintertime. Your windows can be a huge cause of wintertime heat loss. During the current uncertain economic situation, upgrading to double pane replacement windows from contractor-grade might not be a viable option for you. I offer you a solution that might not be as pretty, but is certainly a practical and frugal alternative. What makes double panes energy efficient? The frames and the void between the layers of glass. The voids are filled with a gas that minimizes thermal transference. Frequently argon (Ar, a noble gas) is used. Even a plain air void will work, just not as well. Apply double sided tape to the window frame inside the home. apply clear shrink wrap plastic film over your window frame, creating a void. Press it securely onto the tape. Use your hair dryer to tighten up the film. Nobody, but nobody, likes frozen pipes. If youve ever had one burst, you know that the plumbing repair job can put a hurting on your Christmas gift budget. Its much more economical to install foam pipe insulation before winter sets in. Avoid being out in the cold trying to thaw a frozen water pipe. This insulation is very inexpensive, easy to install and is sold at Home Depot, Lowes, and many other home improvement stores. This insulation is sections of foam tube with a slit cut down one side. Just snap them onto your pipes. 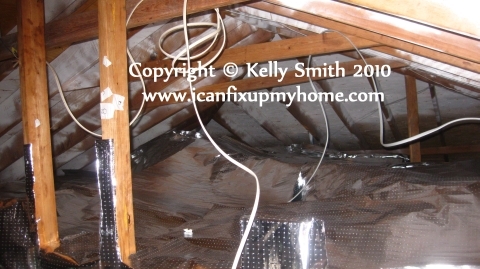 Look for plumbing in the attic, crawlspaces, and unheated areas of your home, like the garage. While you are at the store, pick up is some Frost King Faucet Covers for your outdoor faucets. Use the proper size to minimize freezing drafts. © 2010 Kelly Smith all rights reserved; content may not be copied, rewritten, or republished without authors written permission.